Improving productivity, efficiency and safety. 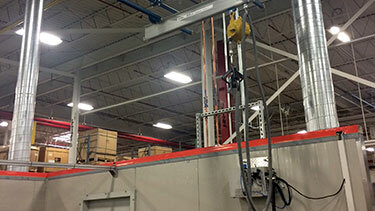 Application: A manufacturing operation has a processes where a series of hoses were needed in a work cell. Problem: The work area has limited space requirements and the hoses must be moved in, out or back and forth several times a day. 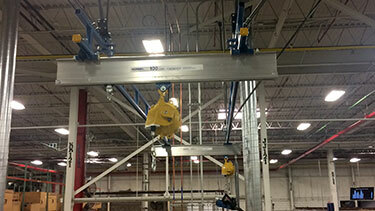 Floor mounted lifts or jib cranes were ruled out because these work cells are subject to layout changes. The series of hoses used in the work area were heavy, awkward to walk with and dragged on the floor causing worker fatigue and tripping hazards. 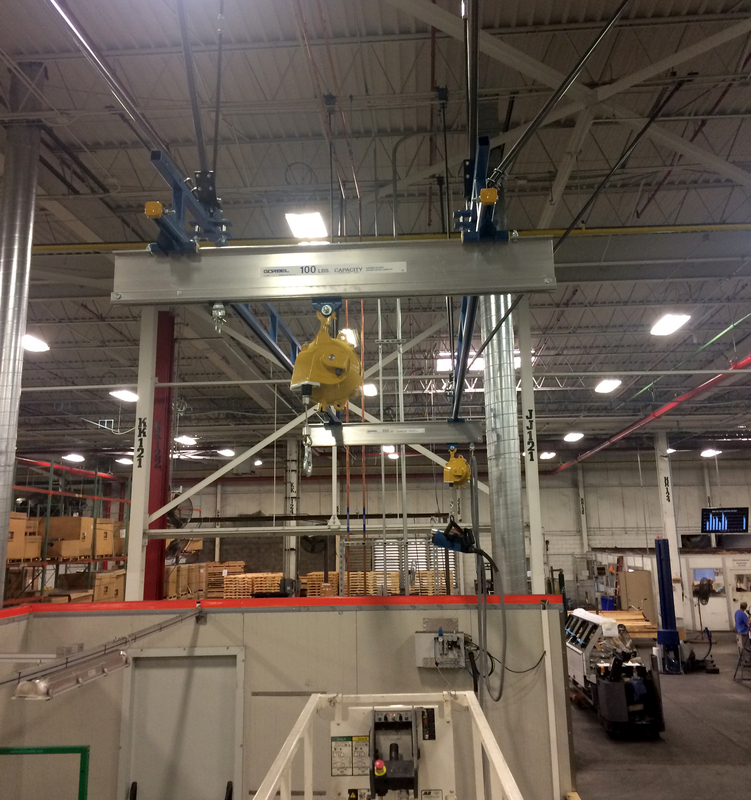 Solution: Ergonomic Partners provided a lightweight ceiling mounted Gorbel Workstation Bridge Crane with large spring balancers to counter the weight of the hoses. 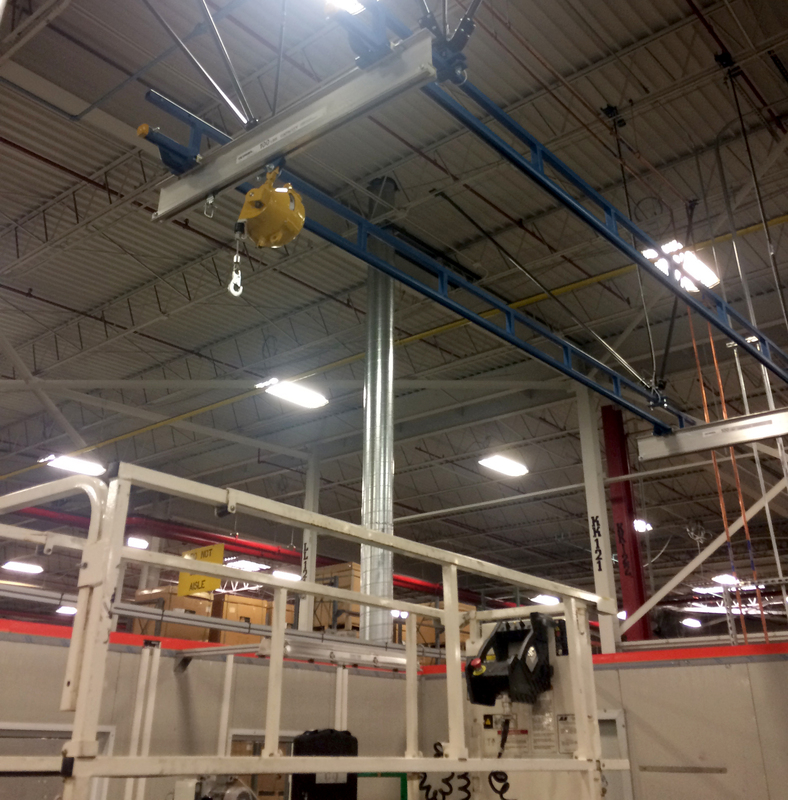 The balancers took the load off the operators and allowed the hoses to be managed overhead. 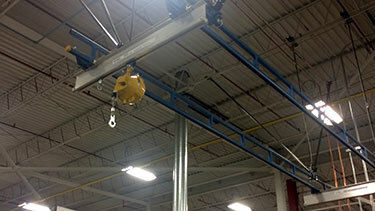 This removed the safety hazards in the area, and allowed for improved productivity, and efficiency. 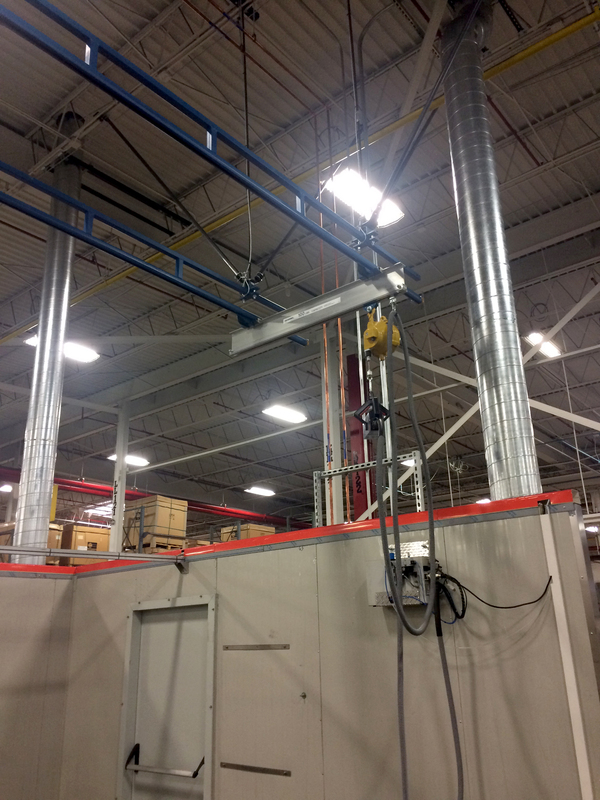 Our in-house team of engineers worked with the customer to verify ceiling loading, designed the system, and our installers setup the system. The result was a turn-key solution provided to the customer. Contact Ergonomic Partners for assistance with your ergonomic applications. We solve problems! 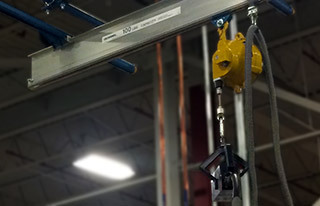 Ergonomic Partners offers cranes and other services; serving clients from coast to coast, Canada, Mexico and especially focused in the states of Missouri, Illinois, Indiana, Kansas, Arkansas, Mississippi, Nebraska, Tennessee, Kentucky, Iowa, and Oklahoma.